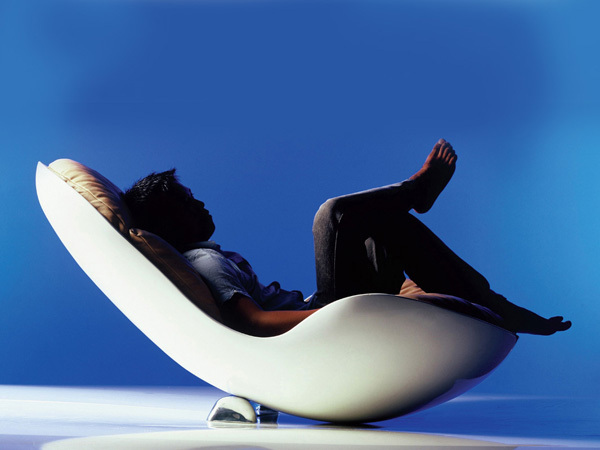 A lounge chair is a great home furnishing because it’s usually decorative and very functional providing a nice relaxing space to sit, read a book, or enjoy a favorite TV program. 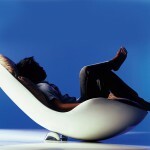 A lounge chair usually features a reclined back and is bigger in size than a regular chair or even an armchair. 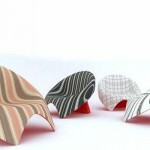 Here are some creative and stylish lounge chairs for those who both comfort and statement furniture items. 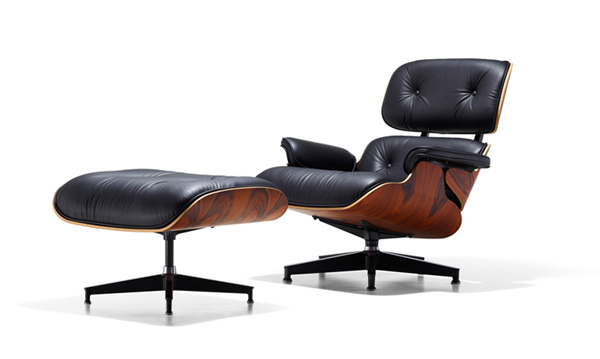 One of the most iconic lounge chairs is, of course, Eames chair designed by Charles and Ray Eames. Produced in 1956 the chair was made out of plywood and leather and featured a matching ottoman. Being displayed at Museum of Modern Art in New York City the Eames chair is very popular and so is often replicated. Eames chair is a classic and will suit both modern and traditional style interiors. It also comes in various finishes so it can easily fit the existing decor. 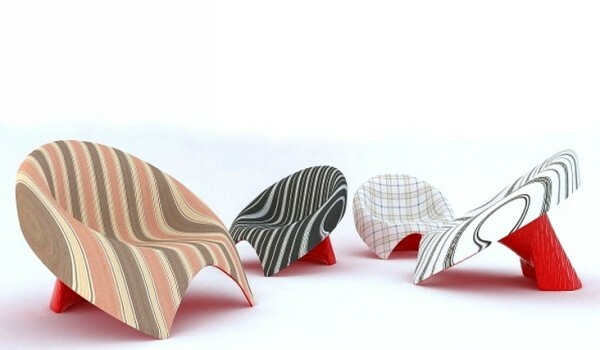 If you want to make a statement with your lounge chair though you can look at some of the modern designs like Petal lounge chair by Zuo Modern. This red seat looks slightly futuristic thanks to its shape that’s divided into segments. The metal-framed creation comes with an ottoman, which makes for ultimate relaxation. 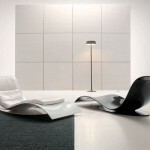 A lounge chair by Nico Kläber is another futuristic design that will stand out in a modern home. Featuring high back it looks like a seat from a sci-fi space movie while its bright green upholstery makes for a great accent in the room. Another statement piece is from Keneth Cobonpue’s Bloom collection. 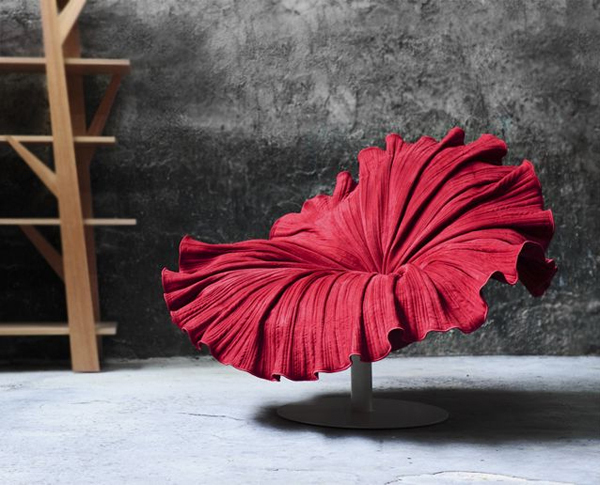 The amazing lounge chair features a steel base and a microfiber flower-shaped cushion that invites the user to take a seat and forget about the mundane for a moment. 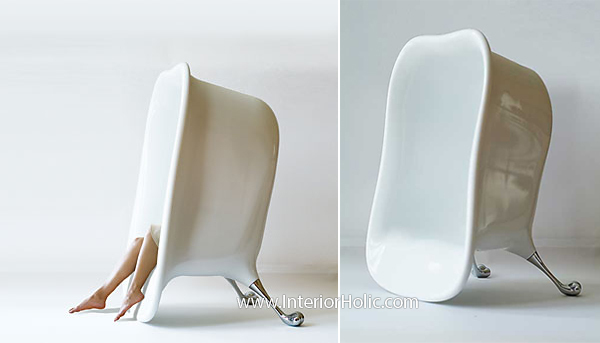 When not in use the chair acts as a decoration and a bright accent in decor. Joseph Walsh’s furniture always makes a statement and a lounge chair from his Enigmum collection is definitely a piece of art. It can double as a sculpture if you like. It also features a small ottoman. Designer Velichko Velikov created a lounge chair that looks like a shirt collar and a tie. What can be more stylish? But if you want something completely unexpected Seatub maybe an option. 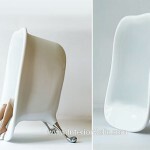 Made of carbon fibre in a shape of a small bathtub the chair is both creative and beautiful feating chrome coated claw feet. A lounge chair can also look more like a chaise longue with elongated seat that provides space for legs basically serving as ottoman. 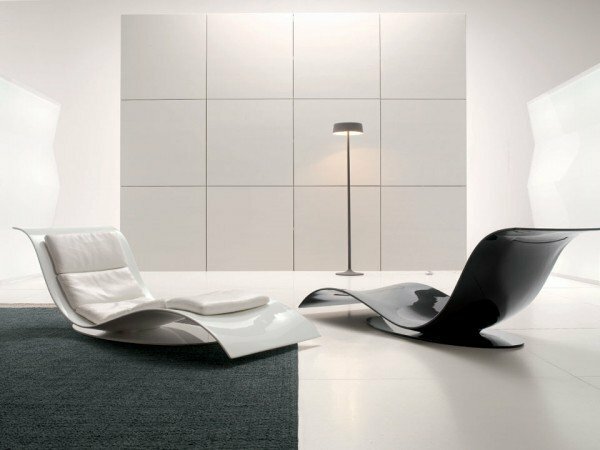 Eli Fly is an S-shaped chair by Jai Jalan that looks like a chaise longue while Snug lounge chair by Alvin Tjitrowirjo doubles as a daybed thanks to its design realized in glossy fiberglass and Italian leather. Lounge chairs are not for indoor use only though. There are a few designs that were specifically designed for outdoors or can be used anywhere you’d like. Loopita is a lounge chair for two. Looking like a loop the chair features two seats that face each other providing a cozy conversation area.